As reported earlier Samsung Galaxy S4 will be available from 14 retailers in the United States and the smartphone is already available for pre-order from AT&T. The AT&T Samsung Galaxy S4 is said to be launched on April 30 but the device might be available a week earlier. 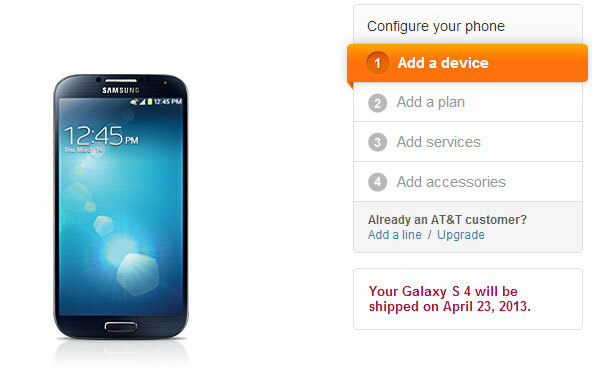 And now, AT&T has updated the Samsung Galaxy S4 pre-order page and there is a new shipping date – April 23. The previous versions had a shipping date of April 30 for the phone, which put it a week past T-Mobile (April 24) and Sprint (April 27). The price remains the same at $639 or $199 with a new agreement for the 16GB model. I remind you that the Samsung Galaxy S4 sports a 5-inch full HD display with Super AMOLED technology, while being powered by a quad-core Snapdragon 600 chipset with 1.9 GHz Krait cores and Adreno 320 GPU, plus 2 GB of RAM, and microSD card slot. 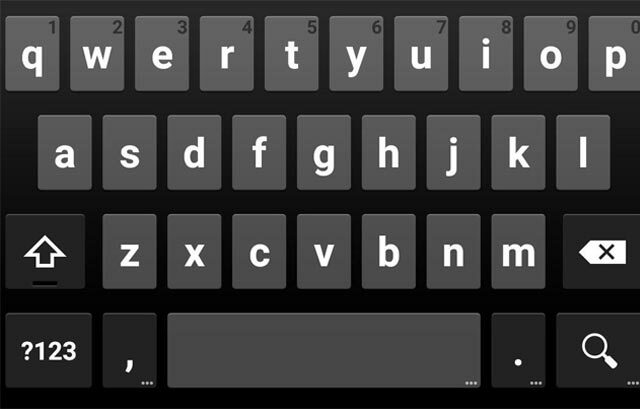 The smartphone has all the connectivity features of a modern smartphone like 4G LTE, WiFi in all standards, NFC, infrared port, and Bluetooth 4.0. 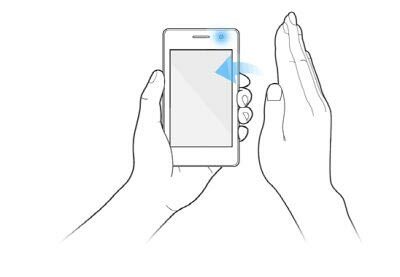 Samsung Galaxy S4 comes pre-loaded with Android 4.2.2 Jelly Bean with Samsung Nature UX, while the camera on the back has a 13 megapixel sensor with LED flash, autofocus, and full HD video recording support.